LINCOLN -- Verna V. Gentry, 85, of Lincoln died Tuesday, Nov. 15, 2005, at 7 a.m. at her home. Arrangements are pending at Peasley Funeral Home in Lincoln. Click here to send a note of condolence to the Gentry family. EMDEN -- Norman H. Hellman, 72, of Emden died Monday, Nov. 14, 2005, at 6:15 p.m. at Abraham Lincoln Memorial Hospital, surrounded by his family. His funeral service will be at 10:30 a.m. Thursday at St. Peter Lutheran Church in Emden, with the Rev. David L. Hofer officiating. Visitation will be at the church from 4 to 7 p.m. Wednesday and one hour prior to the service on Thursday. Holland and Barry Funeral Home in Lincoln is handling arrangements. Mr. Hellman owned Fink Chevrolet in Emden. 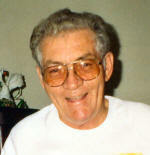 He was born May 6, 1933, in Logan County to Harold A. and Margaret Bruns Hellman. He married Loretta Fink on Oct. 24, 1950, in Keokuk, Iowa. He is survived by his wife, of Emden; two sons, Dennis (and Sharon) Hellman of Foristell, Mo., and Linn (and Lorita) Hellman of Princeton; two daughters, Diane (and Bob) Meeker of Emden and Lorenda Hellman of Lincoln; one brother, Donald (and Donna) Hellman of Lincoln; eight grandchildren, Andrea (and Andy) Danes of Pleasant Plains, Molly (and Andy) Hayes of Emden, Heather (and Mark) Wilt of Shelbina, Mo., Michelle Hellman of Columbia, Mo., Adam Hellman of Bloomington, Robby Meeker of Emden, Meggy Meeker of Emden and Austin Hellman of Princeton; and two great-grandchildren, Nathan and Auburn Hedrick, both of Pleasant Plains. He was preceded in death by his parents and two brothers, Melvin and Lloyd Hellman. He was a member of St. Peter Lutheran Church. Memorial donations may be made to his church or to the Emden Rescue Squad. Click here to send a note of condolence to the Hellman family. LINCOLN -- Harold Dean Cates, 73, of Lincoln died Saturday, Nov. 12, 2005, at 11:40 a.m. at Memorial Medical Center in Springfield. Visitation will be from 5 to 7 p.m. Wednesday at Fricke-Calvert-Schrader Funeral Home in Lincoln. His funeral will be at 10:30 a.m. Thursday at the funeral home, with Tim Searby officiating. Burial, with military rites, will be in Zion Cemetery. Mr. Cates was a retired truck driver. He had been employed by Barrick Transfer, Lincoln; Sturm Freightways, Decatur; Hyman Freightways, Morton; Stetson China Factory, Lincoln; and Firestone, Decatur. He was a U.S. Air Force veteran of the Korean War. He was born Nov. 9, 1932, in Hopedale to Hubert F. Cummings and Mary Louise Cates Cummings. He married Betty Mae Depoister on Jan. 9, 1954, in Atlanta. He is survived by his wife, of Lincoln; one daughter, Melissa (and George) White of Lincoln; one brother, Darrel (and Sheila) Cummings of Lincoln; two sisters, Elaine (and Michael) Fitzhenry of Lincoln and Linda (and Ernest) Frost of Waynesville; four grandchildren, Matthew Graham of Lincoln, Marissa White of Lincoln, Adam White of Lincoln and Jennifer White of Springfield. He was a member of Teamsters Local 916. Memorials may be made to Logan County Paramedic Association. Click here to send a note of condolence to the Cates family.